Posted on Sunday, January 9, 2011, by Eric - TV Geek Army "Revered Leader"
If you had to pick only two dramas to watch on television, you could do much worse than to choose AMC’s Mad Men and Breaking Bad. Therefore, any doings involving either show merit top attention here at the TVGA. While it seems insane to imagine otherwise, it’s heartening to see that Mad Men has officially been renewed for a fifth season. Therefore, the intrigue now shifts to when we’ll see the next chapter of Don Draper, SCDP, and crew unfold. Because AMC is now brimming with high profile premieres and returning shows in 2011, we may not see Mad Men return to the air in the late summer slot it has filled for the last few years. Indeed, even waiting that long is excruciating for fans (me: guilty) so we’ll be keeping a close eye out for news on the premiere date for Season Five. 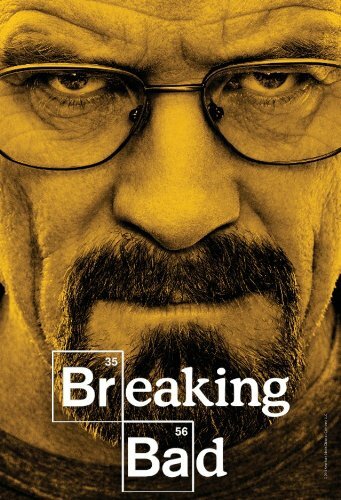 Breaking Bad, a show that last ran during the spring of 2010, will shift to a run during summer 2011. Filming for the fourth season is about to begin in Albuquerque. It’s possible that this move was made to up the profile for a show that many people believe (again me: guilty) is coming off one of the more exciting, astonishing, and compelling seasons in television history. Now, here’s what would be really crazy: seeing a Mad Men and Breaking Bad lineup kicking off in August or so. That kind of TV firepower on Sunday nights would easily rip apart anything the “standard” fall television schedule would have to offer come September. The only sad note here is that AMC chose not to bring Rubicon back after an intriguing and promising first season. Imagine Rubicon-Mad Men-Breaking Bad running from 8:00-11:00?